Home » gifted » Is It OK to Say “Gifted”? For me the really interesting part of this article was in the end where she was talking about potential pitfalls for gifted learners. She specifically called acceleration as a bad idea, and I happen to agree with this assessment. To me acceleration is kind of like a race to nowhere – I would love her to be the kid as long as possible and enjoy navigating her school years with her age. Another interesting post! I was put into a talented and gifted (TAG) program in elementary school, and was in an accelerated honors program at university - and at best I'm a quick learner, and a good test taker - not gifted. I actually thought in elementary school they were preforming an experiment to see if telling us we were smart would improve our grades. What I do know is the programs were a lot of fun - socially, but pushed an elitism I'm against. As to pressure, and burdens - that really comes with grading. Any child who is use to getting A's will feel pressure to keep getting A's, and their first B or C will be quite a blow. Great post! Again this points out a pitfall that I have to agree with Leah on, something my mom disliked very much, and one that I have felt strongly about, and that is the labeling of kids, and the grading system used in our schools. I feel rather then really label a child, or grade them on the A,B,C,D,F scale they should be graded on the amount of effort that is applied to the assignment. After all that is what we want is them to put forth the effort. I know I have spoke of people making remarks that Selena is advanced for her age, yet I hesitate to want her labeled as gifted. I doubt we will ever have her tested, as I don't want a stigma placed on her. As we all know that a child may be advanced in particular areas but not in all. Selena is who she is, she is where she is, and will go from there. I do agree that as a society we too often tend to label people, and it can be a pressure to live up to any label. However, label or not, every kid should be given the opportunity to reach their full potential. Like some of the other commenters I was removed from my neighborhood school and moved into a school for "gifted and talented kids" when I was younger, and I think it was a great thing. I had been extremely bored in my regular classroom, and it wasn't until I moved to the new program that I felt challenged and happy in school. It can be frustrating to be stuck in a class being taught something you alredy know because that's what the kids your age "should" be learning. 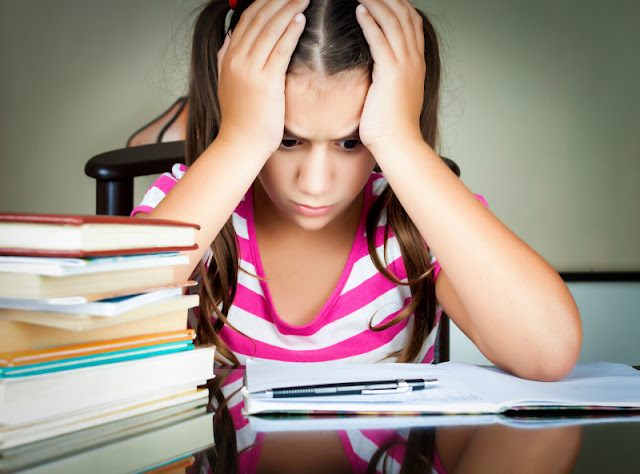 There are studies that show kids who are not stimulated to their intellectual level can stop putting any effort in, can come to hate school, and even end up suffering depression because of it. Socially it also helped to be around other kids who didn't regard being good in school as an oddity! I think the only thing that makes sense if to recognize specific things children do well - particularly in achievements in areas that are difficult for them, as well as in areas that they especially enjoy. I think those "gifted" classes in public school are mostly an attempt to keep smart kids from getting bored. I was in those classes, and I am by no means gifted. But I was a good student, and the classes were fun..
Definitely a touchy and tricky subject. I can see both sides to the story and strongly disagree with labeling kids, however in the school environment I'm not sure how you would get away from that. Thankfully with homeschooling we see no need to worry about the levels of our kids, they purely are who they are and as long as they are thriving and happy then that's what really matters. As parents we will naturally seek out experiences that will challenge the child at their level. Great post. I was a TAG student too. Like others said, I wasn't really gifted, just academically advanced. I really enjoyed the challenge of the gifted program. Unfortunately, I was a very stressed out teenager because I was so afraid of failure. My classes were extremely competitive. We elected not to place Tyler in the gifted program because he would have been at the bottom of the group. He is at the top of his group and that is better for him than feeling like he can't keep up with everyone else in his group. I'm not saying I would do the same with my other children - a lot of it depends on how the child reacts to the pressure and whether the program will be beneficial to the child. Tyler is learning the same subjects in the same way, he is just with a group of students that he can compete with. The fun of commenting later is you get to see a lot of the other comments. So, there are two sides to this. There's the child who feels the burden of the label, and then there's the kid who is bored out their mind and or acting up in class. I'm not sure that I'm "gifted," but I was in some of those classes and INCREDIBLY thankful for it because I would have gone nuts with the paperwork and such for the other classes. I am not good at busywork. If I don't see a point I don't do it. But, on the other hand my brother was labeled as having a learning disability, he wasn't stupid or anything, by probably had a mild dyslexia. He used that as an excuse to not do his work whenever he could. I think in his case if he hadn't been labeled as learning disabled he wouldn't have tried to get out of his work. So, mixed feelings. I know I was in a honors geometry class and did horrible in it, then the next year I was in a regular algebra class and aced it. Putting the same amount of work into both, actually I put less work into the algebra, but that's another comment for my theories on math. Great post, but I have to repectfully disagree. I was a child who was labled gifted. And for me personally it was a blessing. I remember comming home crying everyday from Kindergarten because I was so bored. I became despondent even at such a young age. This led to my testing and it was discoverd I was higly gifted. This lable changed my life for the better. I changed schools, into a gifted school, and then was put in their gifted classes. Finally even at a young age I found happiness and peers...something I had struggled with and still remember the deep feelings of isolation that I experienced in preschool and Kindergarten. I never once felt I was better then someone else after being labled, but it also explained so much of me, and is still a very big part of who I am and explains so much of why my brain works the way it does. Without that label, I really do not know how I would have born childhood. As for acceleration, I was lucky as there was a program that allowed me to work at the level I was on but with peers my age. It drew from the entire NW portion of our state...but had there not been, as there is not in so many other places, I believe acceleration would have been the right choice for me. Even being with gifted peers, I had always been drawn toward those older than me, and in highschool many of my friends and those I considered peers with whom I still maintain relationships today were in there 30's. My child has been identified as profoudly gifted with an IQ over 160, at 3 is a self taught reader who can read anything, and I do mean anything adult books included with no help. She taught herself addition and subtraction at barely 2. While I have not told her of this label, I already see the same isolation feelings I felt at her age. We attempted preschool and she was miserble....Bored out of her mind. We were lucky before we moved that she had found several friends who while she was barely 3, where 7 and in 1st grade, and they were definitly her peers although accademically she was ahead of them. She loved them, and I saw her shine when she was with them. We have yet to find that here. So far in our new town it appears everything is very age segregated and people are appalled that your child does not go to the local preschool. I have seen her once again become sad and withdrawn when attempting to interact with her agemates. Here there is no gifted program, acceleration would be our only option and I feel it would be a very good one, if the school district would let her be in 1st or 2nd grade this year, but alas there is no early entrence even with her test scores. So she has to wait 2 more school years before she can be in half day K.
I do believe labeling a child gifted when they aren't sets them up for faliure. I also believe many of the gifted classes out there still have a one size fits all approach to giftedness that is not the case. Those may work very well for some children as it did me. But having been back home to were I have grown up and having some of the administration of my old school beinging the ones who actually assessed my child, she would need to be grade accelerated and into the gifted program at the very school in which I thrived in. For me the label was a godsend. And I would not be where I am today without it. OOh! Nice topic. I too am a mother of three children who have been promoted and also been offered a college schloarship. I believe that education is very important but you can have high IQ scores, be doubled promoted and complete college at 16. What good is all of this when your children cannot take care of themselves, or lack a very low IQ in common sense and street smarts? There is always going to be someone smarter than your child, maybe right in the same regular classroom. Lets teach our children to uplift those who are not as smart. These "gifted" children are needed everyday in the classroom. To help a fellow student which allows the "gifted" child to build leadership. They help the teacher to not lose their passion. Again a child that is giving works that help them feel good at a task, and have parents expose them to early forms of education is already "gifted" by these two combinations. Adding another reason to separate children is a disservice to their developing characters. We must as parents continue to accomodate our children not demand other schools to perform this task. What will be next? Gifted class level 1,or Gifted class level 2. Great post. I pretty much agree with what you said. I think there is a need for gifted education however, I think we need to be careful in labeling kids. Incorrectly labeling kids and putting them in situations that don't fit well for them won't help. As a former teacher, I found that many of the parents were the ones who were pushing a "gifted label" They would complain to me that their child was bored in class. However, I never saw the child act bored... but I did differentiate my instruction to accomodate the abilities of all learners. The parents would also claim, "Everybody tells me he is gifted." Everybody would end up being mom, dad, Grandma and Grandpa. I know that my parents and inlaws already think my child (and the rest of their grandkids) are the smartest children who have ever lived! lol. I think parents should celebrate their child's strengths and accept them for who they are. I do think accelerated programs are important. I think it's important that educators meet all of the needs of their learners. I just think some parents are too pushy. (That being said, I read your blog and joyful learner and I would def. classify your daughters as advanced! Probably because those who love them have read to them since birth ;) Great topic. I agree with you Natalie about keeping her the kid as long as possible and being with kids of her own age. So far in my homeschool teaching I am just letting my kids take the lead and I am moving at their pace. I really feel like this is a huge benefit I have with homeschool vs. traditional classroom. I will say that in Hanna's montessori school she was always able to move at her own pace and I loved this about her school. I saw so many others in traditional classrooms either being pushed too hard or being held back, so for me letting the child take the lead is a win-win situation. I know that this is way after the fact, but I really wanted to respond to this. I, too, was identified as gifted while growing up. I lived in a small, rural area and it didn't mean too much beyond participating in programs such as Olympics (now Odyssey) of the Mind; and being able to take a few classes "early" at the high school level. I spent a LARGE amount of my time in school being bored to tears. I often would finish a 50 minute test in 10 minutes and my only option was to sit and twiddle my thumbs for 40 minutes while I waited for the rest of the class to finish up. I hated that. I would have welcomed acceleration or differentiation had it been offered. One of the greatest benefits of homeschooling is that I can totally go at my son's pace. We can explore topics that he is excited about in an amazing amount of depth. If he doesn't get something, we can slow down and work though it until he understands. We are now doing work that he wouldn't get to until 2nd grade or so in a traditional school because it's a great fit for him and he's interested in it. I have no desire for him to go to college at 16, but I do have a great desire for him to be able to pursue his interests in depth. We don't hold back world-class talent in sports or the arts just so that they can bolster the masses, why on Earth do we want to do this when a child's talented in the academic realm?